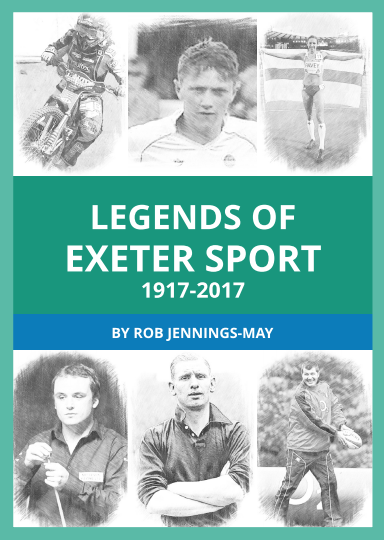 This new limited edition 64-page book celebrates Exeter's greatest sportspersons across time - from Ivan Mauger to Jo Pavey, Tony Kellow to Henry Slade, Faheem Khan to David Wheeler. The book makes an essential and unique souvenir for fans of Exeter City, Exeter Chiefs or Exeter Falcons. Read about Cliff Bastin - a Heavitree born lad who went onto play for Arsenal and England, and Tom Kelly - the only Exeter rugby player to captain England. Olympians such as Jo Pavey and Liam Tancock, and some of our future stars in swimming and athletics also feature inside. There's a fascinating insight into Exeter's WWI and WWII history, and its links to the city's sports club.